The Tasks manager is a straightforward app to organize checklists (e.g. 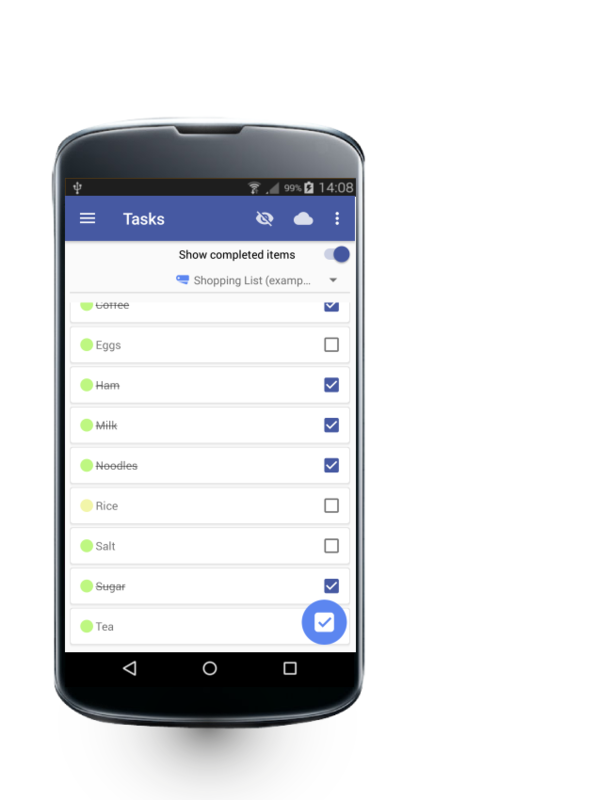 shopping lists), to-dos and other tasks. For every task you can define the priority, a due date, the sensitivity and the tasklist it should be listed in. 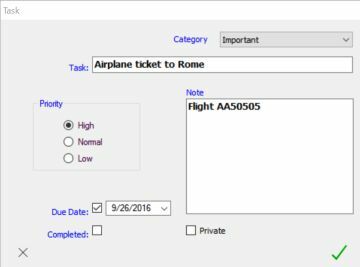 Create any number of tasklists and checklists. Filter tasks by tasklist (or show all, except checklist items). Sort tasks and todos according to priority, due date, tasklist or topic. Every single task item is encrypted with a random keyword before being saved. Different tasks are stored with different keywords. This makes it practically impossible for intruders to use your data. In addition, particularly sensitive tasks can be marked as "private" and will disappear from the screen at the hit of a button (or automatically if the app has not been in use for a couple of minutes), neither will they appear in the list. To show them again you are required to enter the PIN or (after entering a wrong PIN once) the main password.